Bhutanese Prime Minister Lotay Tshering has asked Bangladesh to engage India for import of hydropower from Bhutan. “Yes, we have India in between Bangladesh and Bhutan. But, hydropower sector is a bonding factor between Bhutan and India. There has been a typical relationship about how a large country helps a small one,” Tshering told businesspersons of the two countries here this week. Bangladesh’s power capacity, though having grown five times in 10 years of Awami League rule, is falling behind growing demand fuelled by the country’s speedy industrialisation. Bangladesh is planning 100 Special Economic Zones (SEZs) to attract foreign investment but adequate power is a concern. It is turning to Bhutan and Nepal for importing cheaper hydropower since it would cost less than those produced domestically in gas-based units. Tshering, ending a four-day visit to Bangladesh, said India had been very generous to his country in terms of hydropower by investing heavily and helping Bhutan with financial assistance and technology. 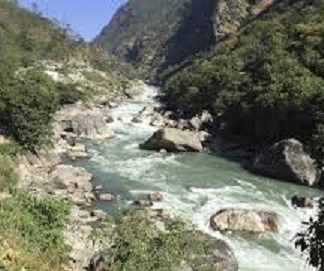 “If there is any interest in hydropower, it has to be trilateral. It cannot be bilateral because electricity cannot fly. It cannot be a wireless business. Bangladesh and Bhutan cannot alone do this business and we have to bring India in the picture,” he said. Tshering said it has to be explored whether Bhutan has the potential for generating 30,000 megawatts of hydropower as some have said. “On the market side, Indian market is hundreds of thousands megawatt requirement and we have a few thousand production capacity. So, in terms of market, I think if we can produce, we have enough market in India,” he said. At the meeting, Dasho Yeshi Wangdi, economic affairs secretary of Bhutan, said three countries have already made some progresses under trilateral cooperation. All three countries have to come on board that electricity has to be transmitted through India if Bangladesh and Bhutan want to do business with Bhutan, he said. Lately, India has come out with a cross-border trade in power guideline, which actually allows transmission of power through India. So, the trilateral cooperation can be pursued, he added. The real issue is whether Bhutan would have surplus power for Bangladesh after meeting the Indian demand.